We are always looking for dedicated, hard working individuals with a high degree of integrity, who thrive as part of a team and are not afraid to take the initiative to get a job done. 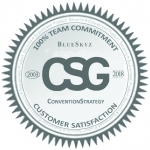 Convention Strategy Group combines the challenge and excitement of building a unique company with the combined experiences and confidence from previous successes. If you have experience in the conference or meetings industry, and don’t see a position listed that you are interested in, feel free to send us your resume. All resumes will be kept strictly confidential. This candidate is primarily responsible for providing effective customer support for all internal and external company customers and servicing and provisioning products based on customer agreements. This person will work with sales managers to provision and service all customer inquires and obligations including technical assistance and product fulfillment. He or show will manage current customer lead retrieval and attendee tracking issues and provide general support. They will monitor all product inventories and organize and distribute sales leads, including exhibitor data. This will require collection of product materials from clients and handling show specific calls. A college degree or equivalent experience with a minimum of 2-3 years in customer service required. Update client information within sales operating system including leads, inventory requirements, contact updates, etc. Please email resumes to jobs@cstrategy.com. This candidate will selectively sell lead retrieval, attendee tracking and registration solutions in corporate and/or association markets in the interest of maximizing revenue for the company. He or she will develop new accounts and will be responsible for developing and executing a sales plan for assigned markets. 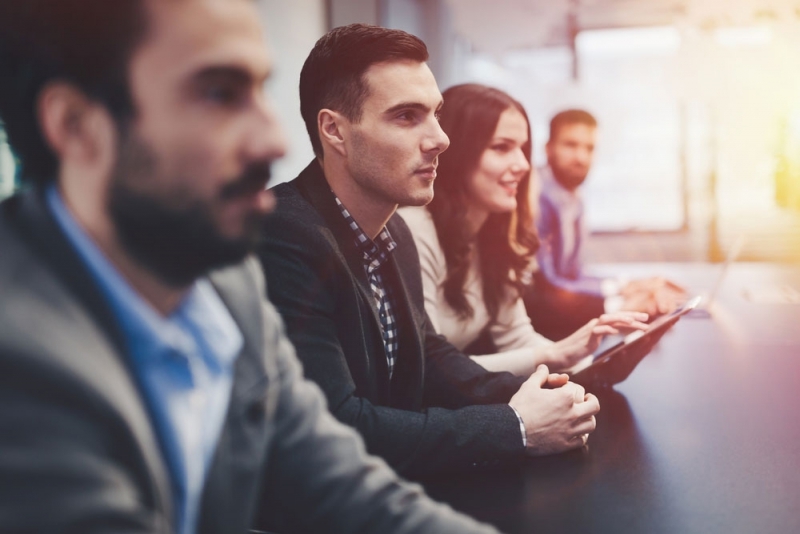 This will require the ability to understand “Group” convention business; prioritize and organize work assignments along with focusing on attention to detail. A college degree or equivalent experience with a minimum of 2-3 years in sales required. Ensure accurate account information within sales operating system including leads, prospects, contact updates, call reports, etc. Plan and participate in sales trips and industry related meetings as appropriate to the assigned markets/territories. The candidate oversees all aspects of projects using planning, monitoring and controlling processes. The Project Manager is responsible for co-ordination and completion of the project and to this end will perform a variety of tasks including setting deadlines, assigning responsibilities, and monitoring progress of the project. The Project Manager may be responsible for more than one project at a time. A college degree or equivalent experience with a minimum of 2-3 years in project management or customer service required. Responsible for planning projects in order to accomplish project goals or produce the products required within constraints such as time, cost and agreed quality standards. Anticipate and catch deviations from project plans or schedule keeping all participants and stakeholders informed. Identify where and when management of issues and risks or accommodating altered requirements will involve extra time or extra resources and where efficiencies can be made. Strong technical skills and a knowledge of a variety of software applications is a must. Moderate to heavy travel is required.